Mirabaud, the Swiss specialist in private banking, asset management and intermediation, is reaping the rewards ofits investment in Spain with strong growth in 2013, including a 400% rise in the volume of SICAV and fund assets under managementcompared with 2012, and impressive forecasts for 2014. New money inflows and the positive results of management excellence were thetwo key factors behind these results. The number of SICAVs managed by Mirabaud rose from 10 in December 2012 to 36 in June 2014. This is a 260% rise and makes the groupone the most active players in the Spanish SICAV market. Meanwhile, the Mirabaud Equities Spain fund, managed from Barcelona by Antonio Hormigos and Gemma Hurtado, is rated as one ofSpain’s top five equities funds. In the past year it multiplied AUM sevenfold to 72 million euros. In 2013, it yielded 32.84%, compared with26.39% for its benchmark index, the IBEX 35. In the past five years, the fund has generated cumulative returns of 57.98%, outperformingthe IBEX 35 by nearly three times. “Two years ago, Mirabaud made a massive commitment to asset management in Spain and was able to add some highly talented expertsto the team. Our technical managers, in Barcelona and Madrid, are admired throughout the sector, with great experience and credibilityin private banking, both SICAVs and funds. Their magnificent operating results have been quick to draw in new money”, said FranciscoGómez-Trenor y García del Moral, CEO of Mirabaud in Spain. The sustained growth the firm is seeing has reinforced the group’s strategy of expanding the team with high-profile hires. Accordingly,Mirabaud has announced the recruitment of three experienced heavyweights to its Madrid office, in private banking. Juan Manuel Gutiérrez Bernaldo de Quirós (from Credit Suisse) and José Luis Ruiz Gonzalez (from Santander Private Banking) will take uppositions as heads of Private Banking. Ana Echarri Sarasola (from KBL), will be responsible for Clients in the middle office. Antonio Palma, Chairman of Mirabaud Spain and a group managing partner, explains that “the new hires are another step forward in theambitious expansion strategy that Mirabaud is applying in Spain and strengthens Mirabaud’s commitment to this market. Juan Manuel,José Luis and Ana not only command great experience and respect as professionals but perfectly embody the values of Mirabaud: confidence,prudence, independence, profitability and personalisation to suit the interests and profile of each client. It is a pleasure to havethem on board”. Juan Manuel Gutiérrez Bernaldo de Quirós, has 16 years’ professional experience and has spent his career as a private banker forfirms including Altae, Banif and Credit Suisse. He is an Economics graduate and member of the European Financial Planning Association. José Luis Ruiz González, has 17 years’ professional experience and has spent his whole career at Santander Banca Privada where herose to head one of the Santander Private Banking branches in Madrid. He is a Law graduate with a Masters in EU Law and member ofthe European Financial Planning Association. 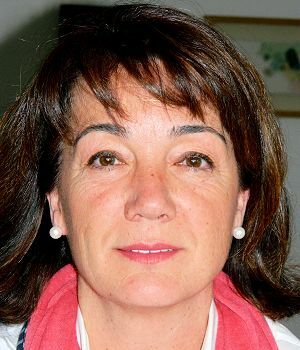 Ana Echarri Sarasola has more than 30 years’ experience in private banking, having spent her career in financial institutions such asBanco Urquijo and KBL, running the middle office Clients area. She is an Economics graduate. services and services for independent financial advisors), asset management (institutional management, fund management and distribution)and intermediation (brokerage services, corporate finance and debt capital markets). With some 650 employees, the Group has offices in Switzerland (Geneva, Basel and Zurich), and in Europe (London, Paris, Madrid,Barcelona, Valencia and Luxembourg) and in the rest of the world (Montreal, Hong Kong and Dubai).